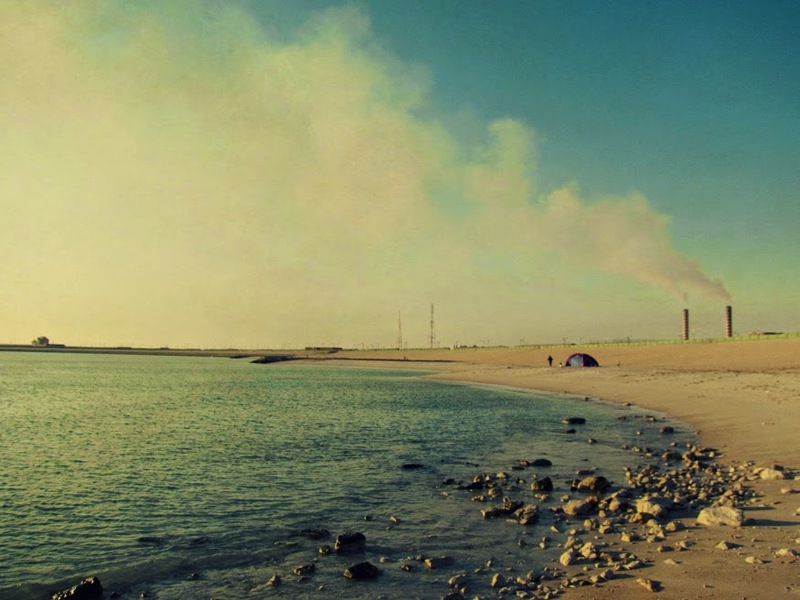 Summer is here, and that very much means beach season in Kuwait. So i'm looking at this beach we hit from time to time, and panning the camera thinking "there's a better shot there somewhere" and behold - giant tubes spewing out white smoke. We saw these on the way there (you literally cannot miss them), but it isn't till you see them alongside the beach, that it hits you. Man versus Nature. How ironic it is that development means destruction. And looking at whats coming out of those tubes, i stand there wondering if the clouds I'm occasionally seeing lingering high above are infact, just what remains from whatever these tubes are letting out. That's when another one kicks in - what you're looking at is a man-made beach, being constructed for the pleasure of soon-to-be-available chalets and weekend getaway cribs for wealthy nationals. This entire image then, spells disaster. Kheiran, Kuwait.